In this episode of Backstage Hall Pass we take you behind the music at JD Legends in Franklin, Ohio. The show features the audio podcast of a “Live” Video Interview with Dan Alley prior to his opening for Country Music Recording Artists, Midland. Dan Alley is know as a “Good ole boy pickin’&grinnin’ North of the Mason-Dixon” with a southern point of view out of Miamisburg, Ohio. 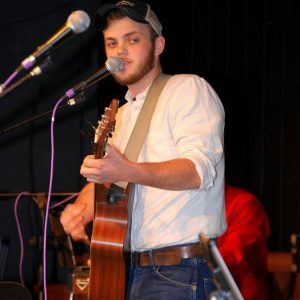 You can catch his brand of “old school” country music with a big Bluegrass influence all over the Dayton, Cincinnati market Dan most recently traveled to Nashville where he had the opportunity to take the stage at Tootsies World Famous Orchid Lounge. Dan always entertains the crowd and has a very wide age appeal judging by his following. Thanks for listening to the “Backstage” story of this rising country music artist! scott November 14, 2017 . No Comments on Behind the music with Dan Alley on “Backstage Hall Pass”. Categories: BACKSTAGE "HALL" PASS. Tags: Artists, Backstage, country, Dan Alley, hallaroundtownradio.com, interview, Interviews, JD Legends, music, Podcast, Scott Hall. Aaron Lewis Pre-Show… Backstage Hall Pass Brings You…. The Jake Roberts Band! If your a fan of “Outlaw Country” with some incredible vocals and a band that will amaze you every time then you’re not alone! 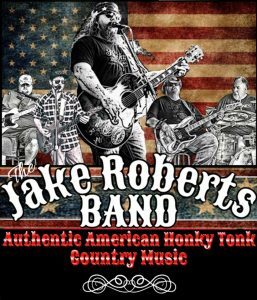 One of the tri-states most popular country acts “The Jake Roberts Band” will open for the SOLD OUT Aaron Lewis show at JD Legends Concerts on Saturday, September 30th. 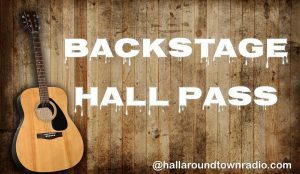 In this episode of Backstage Hall Pass, Scott digs into the background, history and future of the group in a behind the scenes interview with their front man Jake Roberts. Jake comes from a family of musicians and has put together some incredibly talented musicians to package his “American Honky Tonk” style. Jake discusses his thoughts on fame, family, friends and the future of the Jake Roberts Band. We also talk about the major shows he has opened for and his grueling 275 shows per year schedule. So if you’re looking to return to some old school “outlaw” country sounds check out the music of “The Jake Roberts Band” We are exited to see an “unplugged” version of the band open for Aaron Lewis and hope you enjoy this inside look into their background and music! Thanks also to JD Legends for sponsoring your behind the scenes look at the music industry on Backstage Hall Pass! Click on the play link below to hear the show and don’t forget to subscribe to all our programming by hitting the links on the right! You can also “Like” us on Facebook and “Follow us on Instagram and Twitter by checking out the links on our home page! scott September 26, 2017 . 1 Comment on Aaron Lewis Pre-Show… Backstage Hall Pass Brings You…. The Jake Roberts Band!. Categories: BACKSTAGE "HALL" PASS. 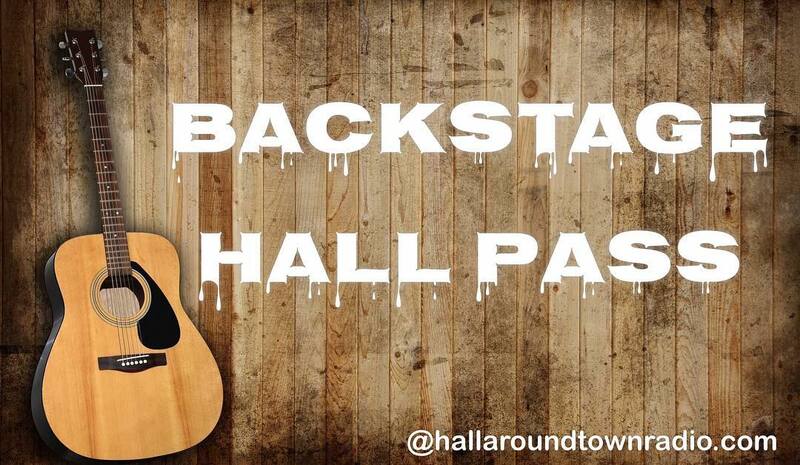 Tags: Artists, Backstage, Backstagehallpass, country, hallaroundtownradio.com, interview, jakerobertsband, JD Legends, music, Podcast. “Backstage Hall Pass” talks with country music artist, Chris Kemp! In this episode of “Backstage Hall Pass” we introduce you to Nashville Recording Artist, Chris Kemp. Show host Scott Hall and Chris discuss his musical journey, influences, fans and tour info. Chris is an outstanding ‘live” performer with an ever growing fan base due to his energetic ability to interact with his audience. His musical storytelling, family values and pride in his country are a recipe for success! Chris is currently touring across the Midwest before he returns to his home region playing in a variety of establishments across the Fort Myers Beach, Florida area. We were fortunate enough to catch up with Chris on the road for this fun look into his life, thoughts and music style. Tune in and listen to Chris Kemp tell his story and enjoy some of his original music as we talk one on one with this rising country music artist! You can find out more about Chris Kemp on his social media @chriskempcountry and listen to his music on iTunes. scott June 24, 2017 . No Comments on “Backstage Hall Pass” talks with country music artist, Chris Kemp!. Categories: BACKSTAGE "HALL" PASS. Tags: artist, country, interview, music, Podcast.